Sun too hot for your black dog? Even though the days of summer are numbered, the sun’s rays beating down on your black dog can make them at best uncomfortable, or worse, lead to heat stroke or more. 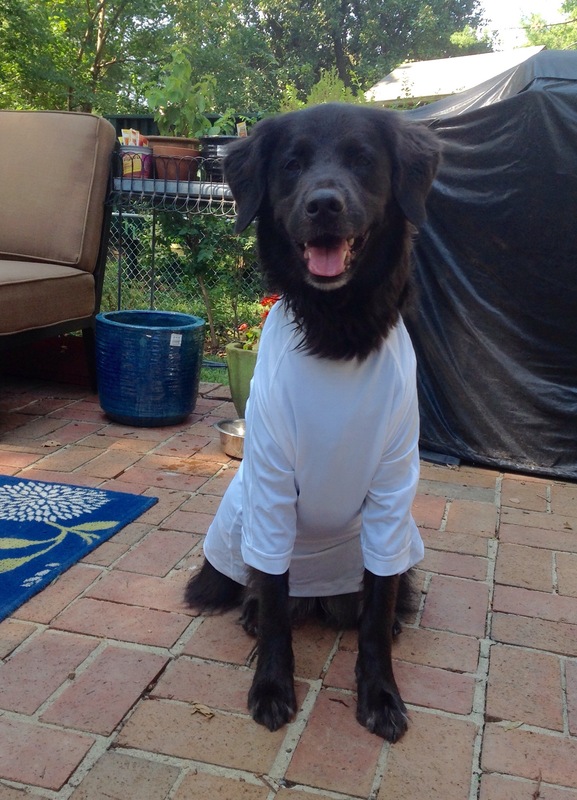 I chanced upon a great way to deflect those rays and keep your pup much cooler during outside activities…a sun shirt! One day at a dog-friendly baseball game Sundae was baking in the sun. I laid a white t-shirt over her back to try and provide some shade. I was surprised to put my hand under the shirt a few minutes later and her hot black fur had cooled down considerably. 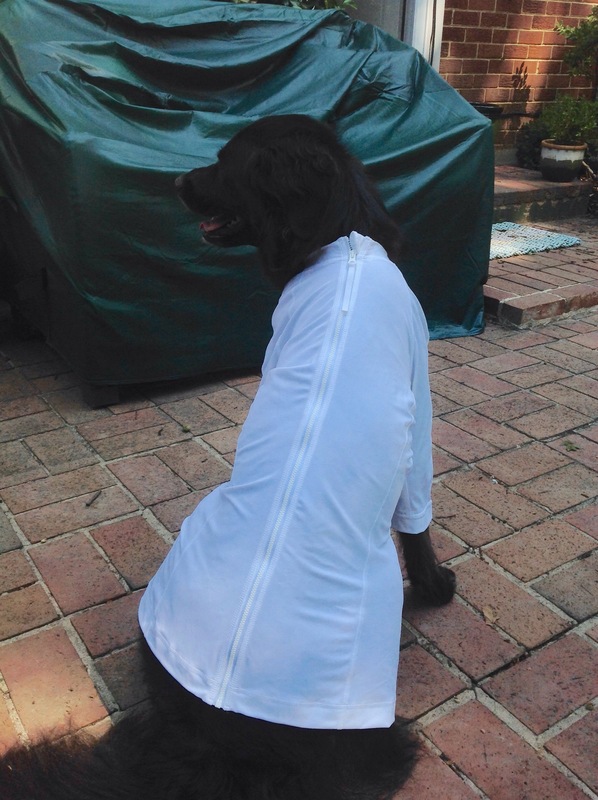 So this summer, I got her a real sun shirt. It’s not for dogs, though, it’s for humans. Land’s End has a great, economically priced selection. 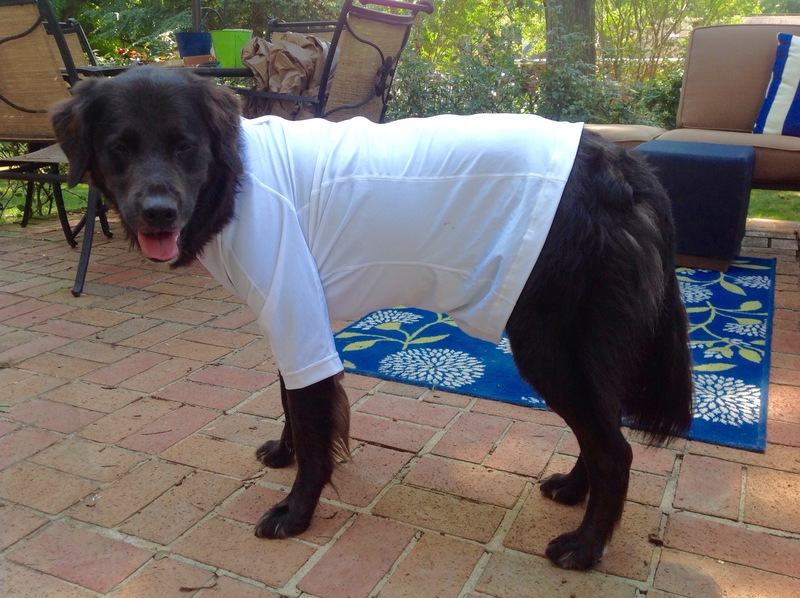 The short-sleeve, full-zip women’s XS / Long works perfectly (Sundae is 54 lbs. fairly slim torso). I just put it on her backwards,slipping her front legs through the sleeves and zipping it up the back. She’s cool as a cucumber and happy to wear and model her surfer-girl gear!